Every year, NYC's young stunners, socialites, and philanthropists await one limelighted event - The Annual Hark Society Emerald Tie Gala. 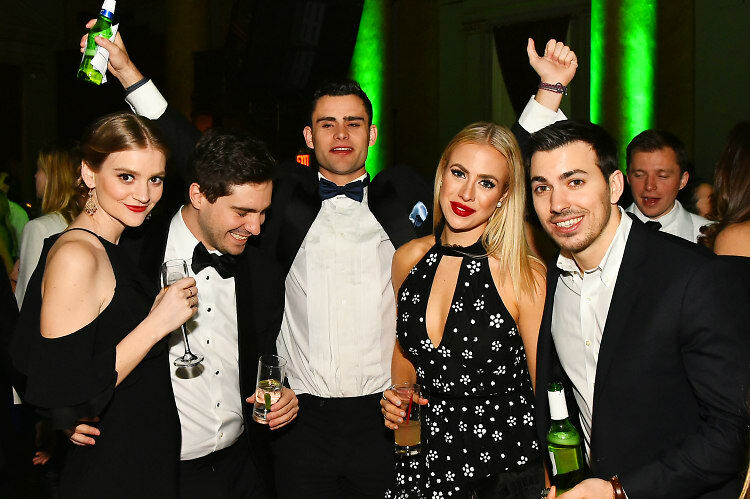 Over the weekend, gorgeous partygoers, dressed of course in their emerald tie best, danced their way into Capitale, toasting for a good cause. The evening benefitted The Passion Project, a scholarship initiative launched by the Hark Society in 2013 which provides personalized scholarships to high school students so that they have the opportunity to pursue their passions outside of the classroom. Click through for some of the best dressed party squads of the night! Go HERE, HERE & HERE for more photos by Sunny Norton and tag yourself and your friends!